Parents attend an APTT conference. Educators know that when families have the tools to support their students’ learning at home, kids do better in school. 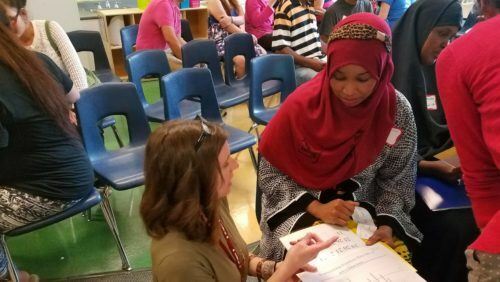 Academic Parent Teacher Teams (APTT) are an alternate model of parent-teacher conferencing, meant to engage families more intentionally in supporting students’ learning. 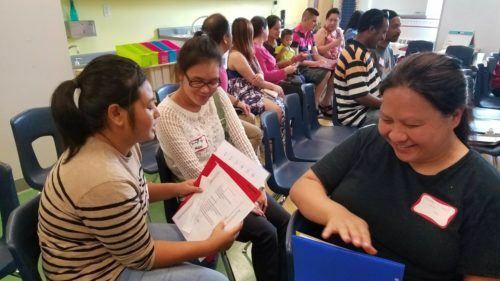 Instead of the traditional two one-on-one conferences, APTT allows for three 75-minute group meetings throughout the school year, where teachers meet with all the parents in the classroom at one time, in addition to a one-on-one conference. 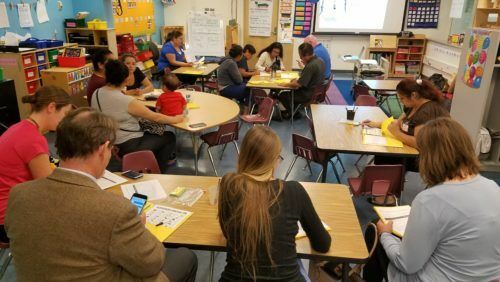 Teachers use these group sessions to coach parents on how to interpret the data that tracks student performance, and the group works on concrete strategies to support learning at home. 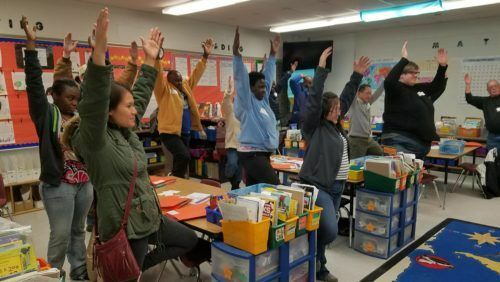 By involving families in a collaborative decision-making process in their children’s education, these teams have been shown to increase student achievement. 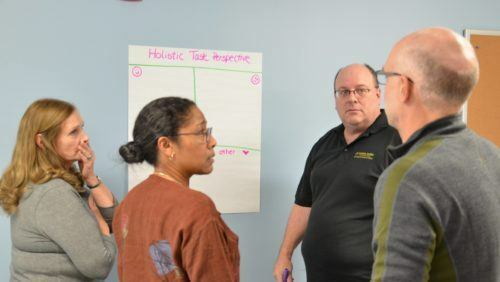 The Saint Paul Public Schools’ Office of Family Engagement and Community Partnerships works with SPFT to implement APTT in schools across the district. If you have questions about APTT or want to get involved in the program, contact Hannah Pierson at hannah.pierson@spps.org or (651) 744-2289.